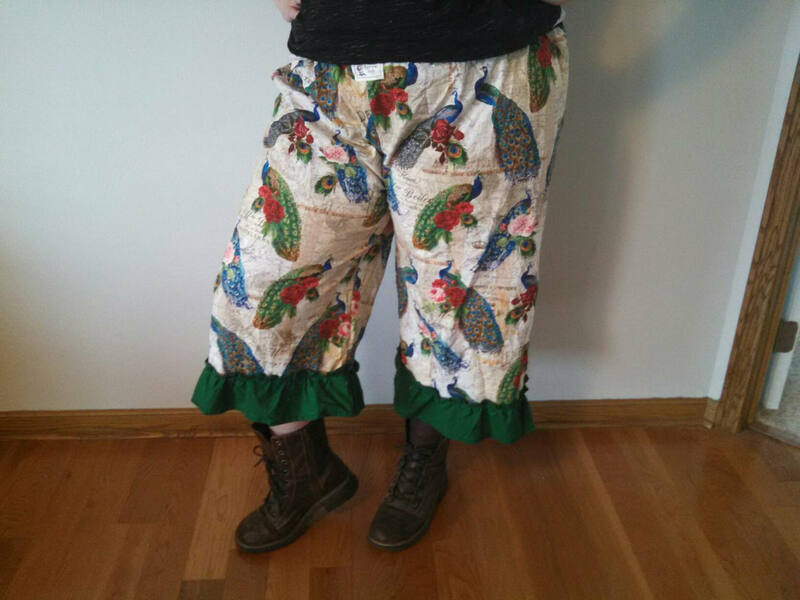 Pretty as a Peacock bloomers with green ruffles. 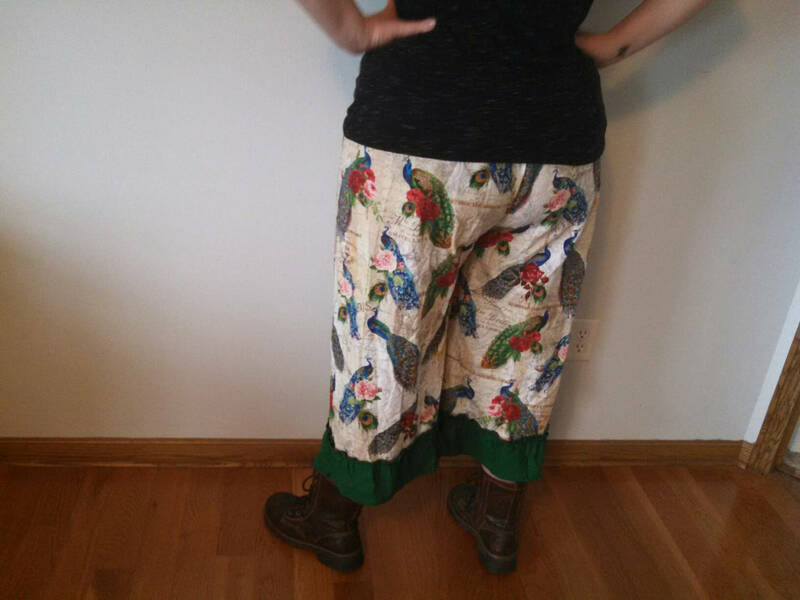 The fabric inspired me to create these bloomers. I love how the green compliments the feathers of the peacocks printed upon it. 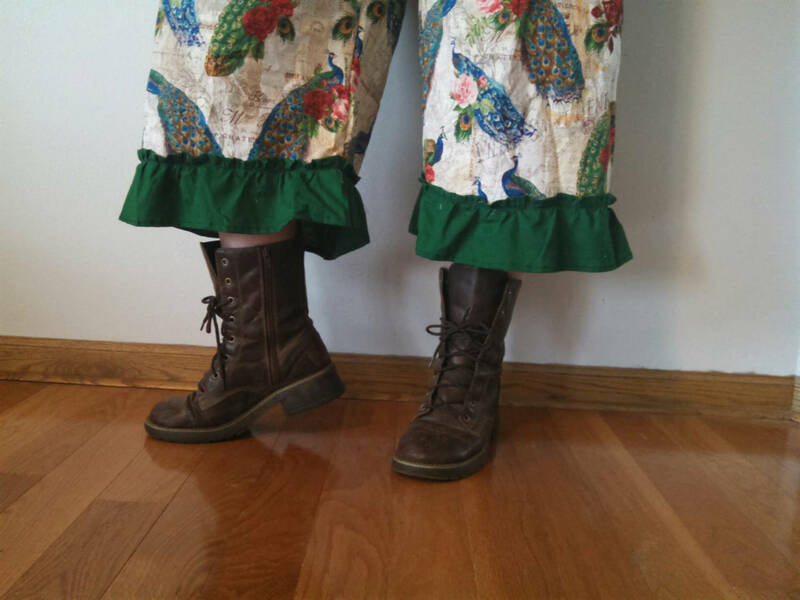 In these bloomers all the ruffles are finished. 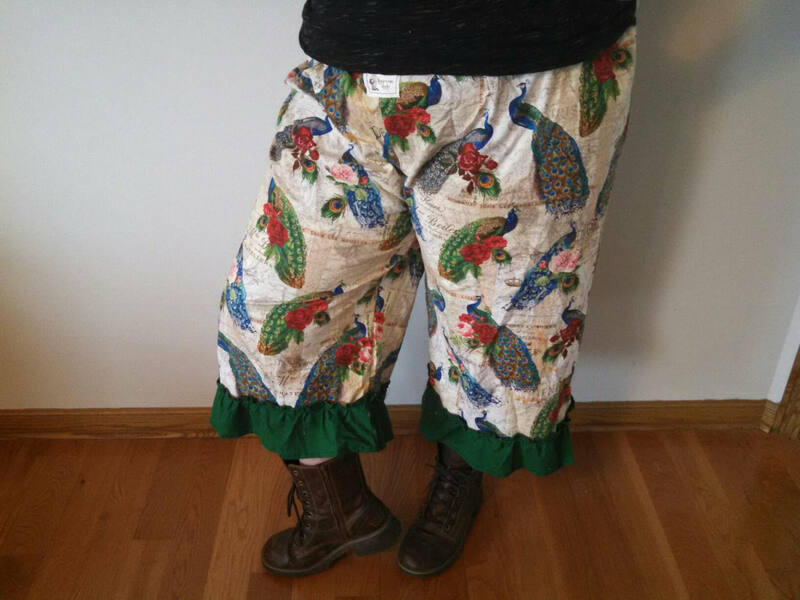 These bloomers are 34" long and fit a size 8-16 comfortably, the waist stretches to 54" but has a drawstring as well as elastic waits band. 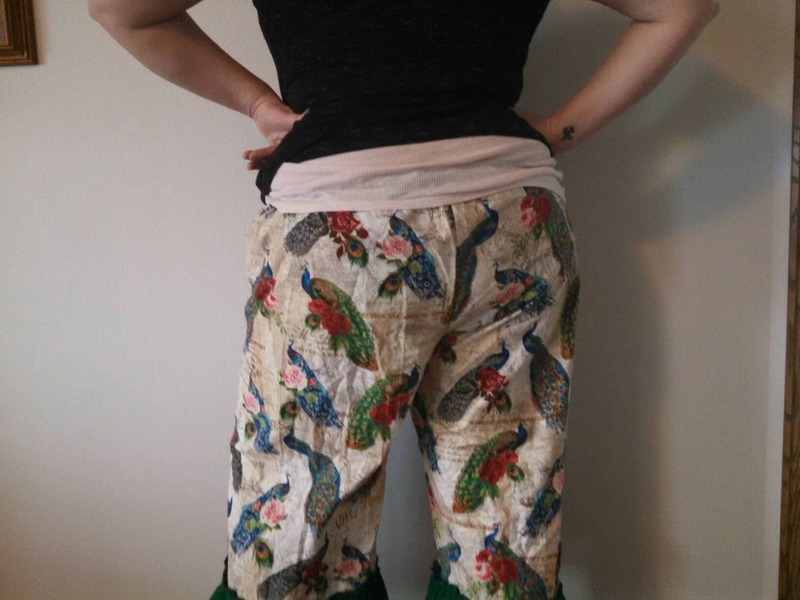 These are fun bloomers, cute and great for lounging or layering. Features a "Tina-rie Studio" label and is machine washable and dryable. If you have questions please convo me.